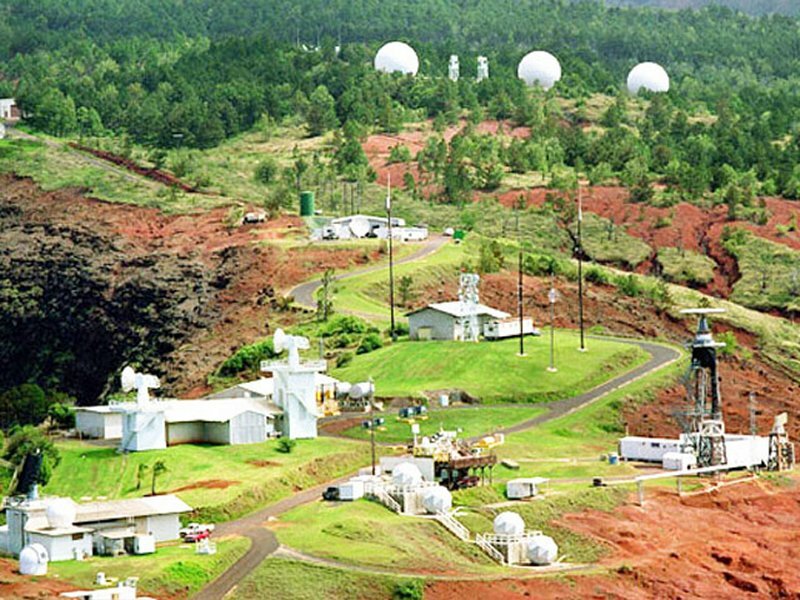 I spoke last night at the library here on Kauai, Hawaii which is home to the Pacific Missile Range Facility (PMRF). It is the world's largest instrumented multi-environmental range capable of supported surface, subsurface, air, and space operations simultaneously. There are over 1,100 square miles of instrumented underwater range and over 42,000 square miles of controlled airspace. From this location dummy missiles are launched as targets that are then intercepted by Navy Aegis destroyers located offshore. 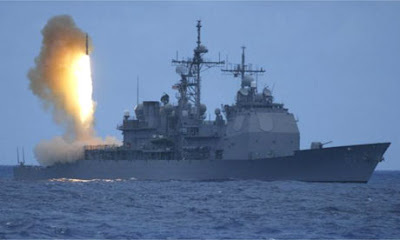 I told the audience last evening that since the Aegis warships, with their interceptor missiles, are built in my hometown of Bath I feel a special connection to the activists here on Kauai. Then after the Aegis practice their "missile defense" (MD) interceptions here they will move on to ports near China like the one being built on Jeju Island, South Korea. Just yesterday I read that the Obama team will be paying Spain $260 million to allow these same Aegis warships to port there as the US also expands operations to surround Russia. I'm on a mission to follow these Aegis interceptors where ever they go so that local activists, and the broader public, can begin to see and understand just how aggressive this Pentagon program of encirclement really is. It's a dangerous and provocative program that gets virtually no coverage in the mainstream media. People have been really good to me since I arrived here the other day. They got me on the local radio station to talk about what is really going on at PMRF so that we can deflate the myth that these MD testing programs are defensive. They've also taken me swimming twice and I got a really bad sunburn my first day so I've been lathering up with aloe gell ever since. Today, my last day here, I will be taken snorkeling by Katherine Muzik who is a scientist who specializes in coral reefs. She just returned last night from 10 days in Okinawa where she was giving help to activists there who are trying to block the construction of a US Marine base runway out into the ocean that would destroy the last remaining living coral reef in that beleaguered place. (Okinawa is loaded with US military bases and the people are fed up with it and demanding they be removed.) Katherine has also been very helpful spreading word about the soft coral reefs just off Gangjeong village on Jeju Island that will be destroyed by the dredging now happening there as they build the Navy base. The US military has a voracious appetite for the most beautiful and pristine spots in the world. The Pentagon has an addiction for destruction and we all must do what we can to help defend these sacred places. Today is my last day here on Kauai. The local peace folks are holding a picnic on the beach this afternoon in my honor so after my snorkeling I'll go there and try to stay out of the sun. The spirit of aloha - love and connection to mind and heart - is very strong here. I will carry it with me as my trip continues. 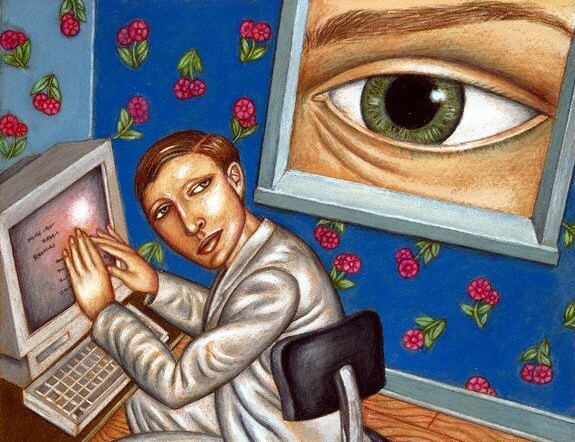 BIG DECISION AHEAD: SNOWDEN TO RUSSIA? Whistleblowing website Wikileaks has released Edward Snowden's statement to human rights groups in Moscow. In it the former NSA contractor asks for assistance in getting asylum in Russia until he can legally travel to Latin America. The White House said Friday that Russia granting political asylum to Edward Snowden would be on par with providing the National Security Agency leaker with a "propaganda platform" to further harm the United States. Former Republican Rep. Ron Paul from Texas defends Edward Snowden. CNN: "Ron Paul, you are a supporter of Edward Snowden and his actions. Why?" RP: "Because he's done a great service. He's telling he truth. This is what we are starved for. The American people are starved for the truth. And when you have a dictatorship or an authoritarian government, truth becomes treasonous." The experimental X-47B drone has successfully landed on a US Navy aircraft carrier for the first time. This means the US can now launch drones overseas without needing to use bases in other countries. The unmanned X-47B aircraft, which is a prototype drone the size of a fighter jet developed by the American defense technology company Northrop Grumman, took off from a naval air station in Maryland on Wednesday. The drone then landed on the USS George H.W. Bush off the coast of Virginia. I am sitting in a very busy Los Angeles airport waiting for my flight to Kauai, Hawaii. The waiting line for some food is more than 30 minutes - I'd highly recommend more than one restaurant in this section of the airport. Talk about a monopoly. I'm going back to Kauai for two reasons (was here for meeting in February 2012). First it's sort of a half-way point for my trip to the Philippines and Australia so I can break up that long journey. 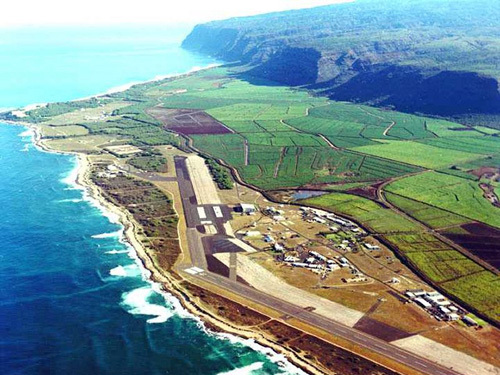 Secondly, and most importantly, the Pentagon has an ever expanding "missile defense" test range on Kauai. They launch dummy warheads from there and Navy Aegis destroyers (in photo above) park offshore and fire their "interceptor" missiles in an attempt to hit the dummy missiles. This testing program has met with more success than some other "missile defense" programs. This particular system is a key element in the US military first-strike program. These same interceptors, called Standard Missile-3 (SM-3), have also been used by the US to knock a satellite out of space proving their capability as anti-satellite (ASAT) weapon. You can imagine that Russia and China are not thrilled that these warships are cruising in their backyards. More ports of call are needed for this growing class of warships thus the US has pressured the South Korean government to build the Navy base on Jeju Island and the Pentagon is negotiating with Vietnam, the Philippines and other Pacific nations to allow these ships back into their ports. There is a peace group on Kauai and they are concerned about the missile test range on their beautiful island. Monsanto is also very busy on Kauai as well developing GMO food products. So there is a corporate military occupation of this garden paradise. The peace group will show the Ghosts of Jeju documentary film and I will speak afterwards while I am on Kauai. I want to keep reminding folks about the importance of this missile test range that the Obama administration is now upgrading as they are planning to use the SM-3 interceptors on ground-based launch platforms that will be deployed in Romania as part of the US encirclement of Russia. They are calling it Aegis-ashore so the key role of Kauai can't be underscored. While I'm on Kauai I do intend to dive into the ocean once or twice as well. Our right-wing Governor LePage here in Maine vetoed the state legislature's drone bill yesterday. The bill would have required police to have warrants from the court before they could snoop on us with drones. The bill also sadly allowed for the testing of weaponized drones in Maine. The governor has vetoed 82 bills during this past legislative session - an all-time record in Maine. So basically damn near everything that was done in the legislative session was for naught. To override a veto the legislature needs 2/3 majority and not enough Republicans are willing to go against their own governor even though many of them voted for these bills that LePage then vetoed. It's called spineless politics. I got an email this morning from our Congresswomen Chellie Pingree (a so-called "liberal" Democrat) who likes to run around the state promising to bring more Pentagon money to Maine to build more Aegis destroyers. These ships, outfitted with "missile defense" interceptors are being used by Obama to help surround Russia (by sailing into the Mediterranean, Baltic, Black, Bering, and Barents Seas) and China (Yellow and East China Seas). Rep. Pingree loves to complain about cuts to human needs programs but then does all she can to ensure funding for these tragically expensive warships that cost more than $1.5 billion each. At this moment a new high-tech stealthy "Zumwalt class" destroyer is being built here in Bath and the price tag has soared to more than $3.5 billion per copy. The United States, as the global champion of democracy and freedom, must stand with people across the region who are advocating peacefully for their rights and freedoms and to improve their lives. I appreciate hearing from you about this important issue and hope to see you in Maine soon. US fugitive Edward Snowden has accused Germany and the US of partnering in spy intelligence operations, revealing that cooperation between the countries is closer than German indignation would indicate, Der Spiegel magazine reported. Journalist Manuel Ochsenreiter says German politicians are furious - but about being exposed, not by being spied upon. 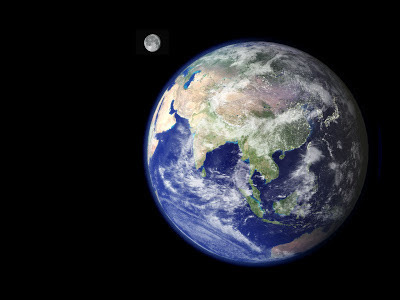 Viewed from space our Mother Earth has no border lines - no boundaries between nations and the people. From space the people are all Earthlings. But down here on terra firma it's another story. We are divided by nation-state borders, by language, by religion and ethnicity - even by corporate brands. Some people think they are better than others. We kill one another. We are destroying our tiny satellite home. The question of loyalty comes to mind.....who should we be loyal to? Country (an artificial construct) or a president or a region? Should we be loyal to a religion or a pope? Should we be loyal to a corporation that pays our salary? Maybe it's because my family moved when I was young - from Maryland to Germany (twice), England, South Dakota, California, and Florida (several times) - that I came to see the world differently.....and I came to see 'country' very differently. I came to define loyalty quite differently as well. What I learned was that people are basically the same everywhere you go....they love their children, they love to laugh, to share food, to marvel at the night sky, and to complain about the weather. For me it didn't matter which country you came from....we are all the children of our Mother Earth. Like all mothers our Mother Earth tries not to favor any of her children. She loves all the colors, all the languages....our mother just wants us to treat each other fairly and not harm one another...nor should we do harm to our good mother ship. So my loyalties are clear. I've no time for those in any country who are messing up the human family or our planet home. In my mind and heart I am fighting for the future generations....to me that is the #1 job of a human being.....make sure the future generations can live. I am here today because of the focused determination of those who came before me and got my family line through thousands and thousands of years of famines, ice ages, droughts, wars, cataclysms and more. I figure it would be totally arrogant and pretentious of me to forget those sacrifices and get lost in distractions like materialism, patriotism, power and religion.